Monday got here too fast again, our relaxing weekend didn’t seem long enough. 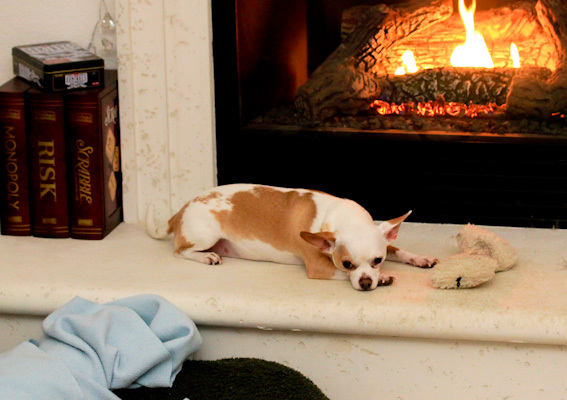 Miko spent plenty of time toasting by the fireplace. And hubby and I spent some time playing in the kitchen. 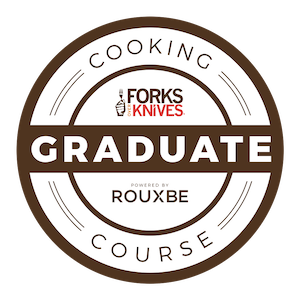 I skipped grocery shopping this weekend to try and use up what we have stock piled in the pantry and freezer, so hubby and I played dueling chefs in the kitchen experimenting this weekend. 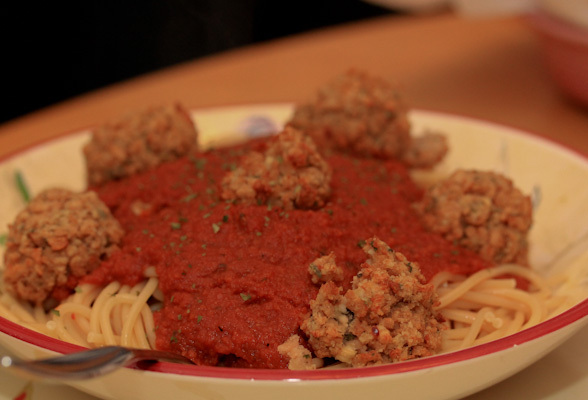 He created a beautiful vegan spaghetti dish with TVP “meat” balls. They were fun for an experiment, but a lot of work forming and baking. And a little spicy since he went a little crazy red pepper flakes. But they also got the creative juices flowing for improvements on the next batch. 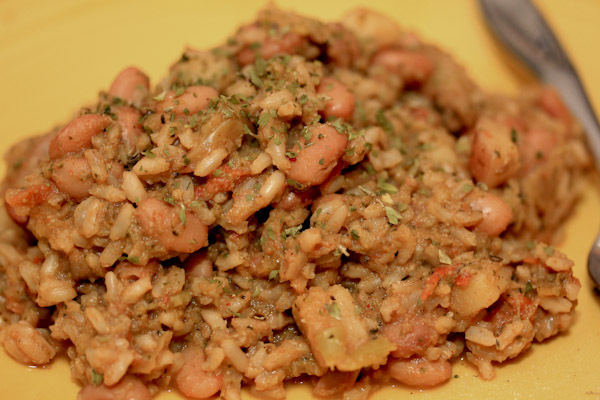 I created a seasoned pinto bean and rice dish using up dried pinto beans in our pressure cooker. It was also a fun edible experiment, but I might have gone a little overboard with the cumin! 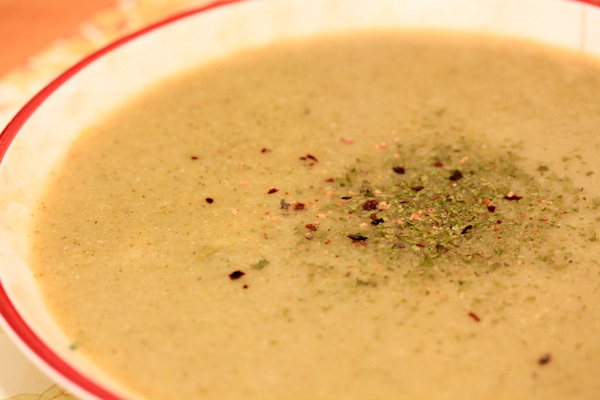 I did have some recipe success with this broccoli potato leek soup. I love the idea of a creamy and hearty potato soup, especially on a chilly, rainy winter day … not that we’ve had many this winter yet. I created this recipe avoiding adding oil and sauteing the leeks and onions for a hearty, but healthier version. 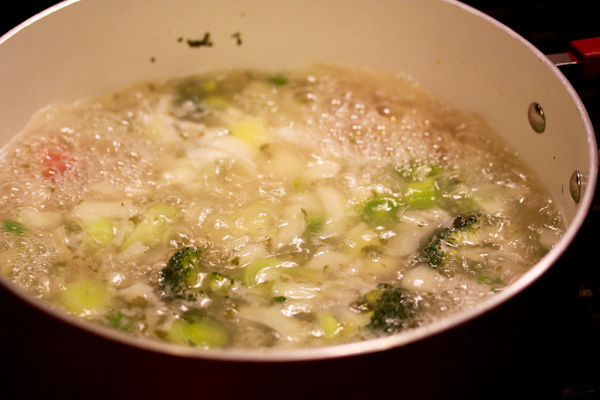 Place all ingredients into a large soup pot over medium high heat and bring to a boil. Reduce heat to a high simmer, cover and simmer for 30 minutes. 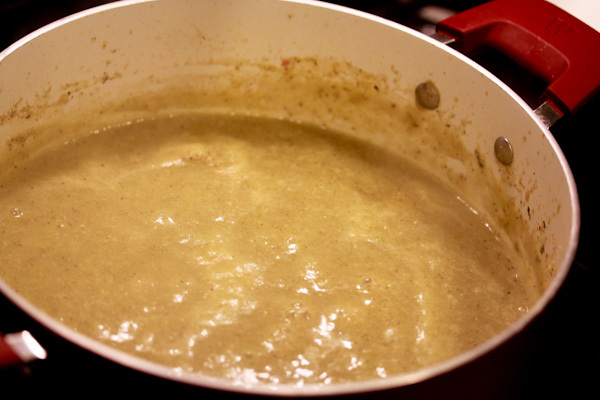 Blend soup with an immersion blender in the soup pot, or transfer to a blender and blend to desired creamy texture. Serve and enjoy. Makes 4-6 servings. Immersion blenders are fun, but they’re no Vitamix! Chop the broccoli and potatoes into small pieces if you plan to use one. I’m still mastering the art of using it and not spraying the contents across the kitchen! But it did the job of making the soup nice and creamy. 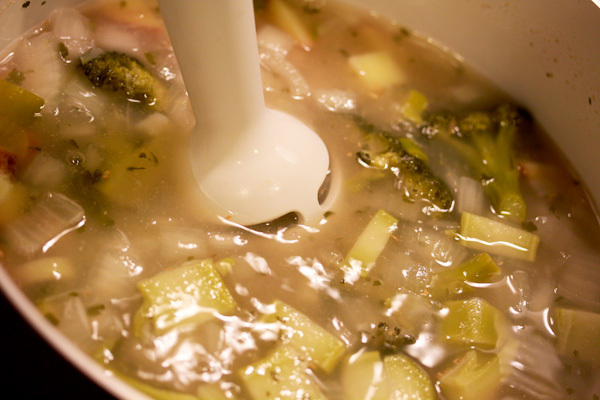 The creamy onion potato flavors make this soup while the broccoli is barely noticeable. I topped a serving with a little smokey seasonings which worked well with the creamy potatoes. I will be making this again as soon as we get some much needed rain here! The bean and rice dish looks really good to me! 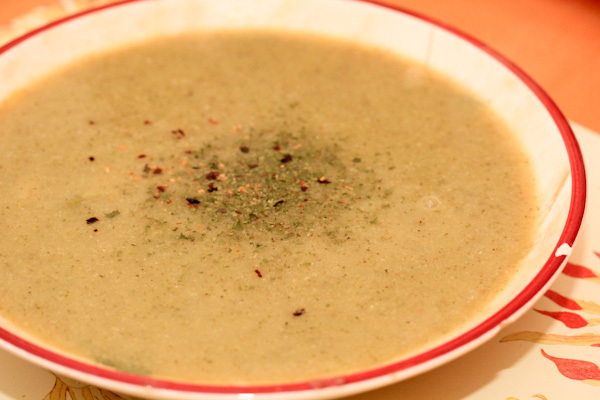 And the soup too – I just made a potato broccoli soup the other day, I just can’t get enough of soups these days. You know, I’ve never used nutritional yeast, but I keep hearing amazing things! It’s a fun way to add protein, B vitamins, and a cheesy flavor to vegan recipes.